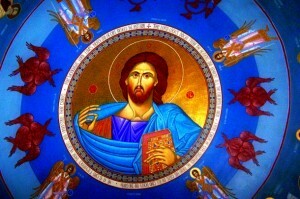 Who, are what, is more significant, Christ or the Church? Who is to have the greater glory and honor? I know that’s a trick question. For if you are to honor Christ, you are also to honor His Bride, the Church. And when you honor His Church, you also honor the head of the Church, Jesus Christ. You can’t honor one without honoring the other. But let’s see how Jesus handles that tricky question? How did Jesus view His Church? He sacrificed His life for her. He sacrificed Himself for the sins of the world, so He could have Himself a beautiful and spotless Bride. In our Gospel reading, John records Jesus’ first miracle: turning water into wine. Jesus is at a wedding that is about to become the laughingstock of the community. Well into the wedding celebrations, the host for the wedding runs out of wine. So, Jesus responds and turns water into wine, but not just any wine. The wine is top of the line. And the wedding steward couldn’t fathom why it wasn’t brought out first, before people’s tastes buds became dull from the alcohol! And how did Jesus perform that miracle? Did He stand up and draw attention to Himself? No, He performed the miracle quietly. Jesus performed the miracle in such a way where the bride and groom were still the focus, not Himself. So, what does this have to do with honoring Jesus or His Church? It’s this: Jesus changed the water into wine for the benefit of the bride and groom. They now enjoy an outstanding wedding feast, even though only a few people knew that Jesus performed a miracle. That’s because the miracle wasn’t about Jesus; it was about the bride and groom. And by doing this miracle at a wedding, Jesus is pointing us to something greater, to His marriage, to His coming to take a Bride for Himself, the holy Christian Church. In Johns’ Gospel, we see an outline of Jesus’ ministry. We first see the water of His Baptism, which points forward to our baptism. Then, we see the wine at the wedding, which points forward to His Supper for His Bride, the Church. At the cross, where we see the water and blood flow from the side of Jesus, we see a picture of Him who fulfilled the Law and paid for our sins. Jesus is dropping signs all over the place on how He will save us. The Apostle Paul writes about the mystery of Christ and the Church. He says, “Wives submit to your husbands as to the Lord” and “Husbands love your wives as Christ loved the church.” Now, even if you’re not married, this still applies to you, for every Christian is part of the Bride of Christ. And so, what Paul says about marriage still applies. First, what does it mean that wives are supposed to “submit”? To answer that, we must first ask to whom is Paul writing, to husbands or wives? Paul says, “Wives,” and then he goes on to tell them how they are to live out the faith. Paul is not telling husbands how they are to make their wives tow the line. So, wives are to submit freely to their husbands, just as the Church is to submit freely to Christ. So then, how do we submit to Christ? That’s simple: we look to Him for all of our good. We expect Him to take care of us, to forgive us, to protect us, and save us. Dear wife, do you look at your husband that way? Do you expect him to protect you and care for you? Now, our culture tells women not to look at their husbands in such a way. And sadly, that’s also how we’ve come to view Christ. Oh, we turn to Christ and cry out in prayer when everything else has failed. But until then, we rely on ourselves. After all, that’s the American way. The truth is, wives don’t honor and submit to their husbands because, as Christians, we don’t even do that to our Lord. Like a husband who’s only useful for running errands or fixing broken pipes, we keep the Lord around in case something breaks or goes wrong. Then, we suddenly demand that He fix everything. Can you not see how wanting to be in control of everything has made you into your own idol? Can you not see how this has even put God on a leash? Sadly, most wives would rather choose to be in control of everything instead of placing themselves under the care of their husbands–and also their Lord Jesus. Ah, but what about husbands? Who’s more significant in marriage, the husband or wife? Well, Paul tells us that, although God calls wives to submit to their husbands, God calls husbands to give up their lives for their wives! How does Christ love His Bride, the Church? He loved her and gave Himself for her. He died for her. He went into theJordan Riverand got covered in our sins and then He carried those sins to the cross and died for them there. And on that cross, He sacrificed Himself for His Bride, the Church. Like Adam’s bride, Eve, who came from his side, the Church also comes from Christ’s side, a creation of water and blood. As a man will leave His father and mother to be joined to his wife, Christ leaves behind His mother at the cross. There, He placed Mary into the care of the Apostle John, so He could be joined to His bride, the Church, born from His side in blood and water. Paul then says that Jesus does even more for His Church. He also cleanses her by the washing of water and the word–Baptism–and presents her to Himself as a holy, spotless bride without spot, wrinkle, or stain. When Christ beholds His Church, she is spotless, sinless, without blemish or fault, with nothing to make her ugly or unloved. When Christ washes sinners, they are clean and beautiful. Dear Christian, through water and the Word, the Holy Spirit has brought you into the Church, the Bride of Christ. Jesus has saved and washed you. So, when He looks at you, He sees no sins, no iniquities, no spots, wrinkles, or blemishes. You are the spotless and beautiful Bride of Christ. When He looks at you, He can’t do anything but smile and rejoice in your beauty! So, dear husband, is that how you see your wife? Do you see her as Jesus does, spotless and flawless? Or do you grumble and complain about her faults and failings? Do you make jokes to others about her? Is that why you look at other women because you can’t see their faults as you’ve learned to know your wife’s? Dear husband, you are not to see any faults or sins in your wife. You are to look at her and speak about her as if she doesn’t have one sin, wrinkle, or pimple. Dear husband, you are to cherish and love your wife in the same way that Jesus loves His Bride. You are to be ready and willing to give up your life to save hers. Are you doing that? No; I know you’re not because you’re not Christ. Beyond being sinners, the reason we don’t treat our wives that way is because, deep down, we don’t believe that Christ treats us that way. It’s comes down to matter of faith. So, whom does Christ consider more significant, Himself or His Church? The Church: And you, baptized into Christ, are the Bride of Christ. You live by the grace and gifts of your Bridegroom. Apart from Him, you are lost, wandering in this world. But He has come and claimed you. He has come and saved you. By the blood and water of His cross, you have been recreated. By His death and resurrection, you have been cleansed. By His water, you have been washed clean. By His Word, you have been made holy and pure, dressed in the wedding white of His righteousness. By His body and blood, you have the food of the wedding feast, your Lord Himself. The Church looks to her Bridegroom for every good gift, just as a wife is to look to her husband to care for her and cherish her. The Lord looks on us and loves us by giving Himself for us, just as every husband is supposed to do for his wife. Dear wife, don’t live as if you’re trying to get out from under your husband’s authority and care. Instead, in gentleness, look to your husband to be the one to care for you and protect you. Dear husband, don’t treat your wife as if she is a nuisance or annoyance. Instead, show her that she is the most-important person in your life, just as Christ also puts His Bride first. Our Lord’s first miracle wasn’t just an open bar with free wine at a wedding! We see our Lord bless that marriage atCanabecause He is showing why He is here: to take a Bride for Himself. But who would want us? We’re sinful, spotted, stained, and filled with iniquity! And yes, that is what we were. But when the Lord gave Himself for us, we were washed and cleansed from our sins. Now, nothing is more beautiful, more precious, and more marvelous for Jesus to behold than to look on His Bride. Jesus now sees nothing but perfection in His Church, in her, in you. He sees no sins or blemishes in her, in you. Indeed, here comes the Bride, all dressed in white! And that’s you, made beautiful in Jesus and claimed by Him as His own. Amen.